So, you’d like to buy a home but aren’t quite sure where to start. It can certainly be an overwhelming task with many questions. 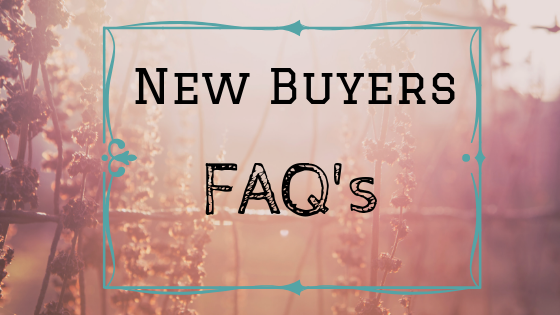 To help get you off on the right foot, we have put together a short series of Frequently Asked Questions that the majority of our new buyer have. Over the next few weeks, we’ll try to answer many of the questions you have rolling around in your head. Remember that every buying experience is different and having the right Realtor to guide you is key to success. At Edge of the Wilderness Lakes & Homes Realty, our offices in Marcell and Grand Rapids are staffed with experienced agents that are ready to show you the way to home ownership. How many properties does the typical buyer look at? Some buyers look for quite some time and view many, many homes. Other buyers find the home they want to purchase on their first time looking. It all depends on the buyer and how perfectly the home fits their dreams…..and budget! How often do you find perfect properties on the first day? It is rare to find a home that fits 100% of your dreams and desires unless you are building from scratch. If you find a house that has 80% of what you are looking for, 10% of things you can change, and 10% of things you can live with, it’s a KEEPER! Be sure to give your realtor a list of the things that matter MOST! That will increase the likelihood of finding your next property quicker! When should I make an offer? When you’ve found a property that meets the majority of your needs, don’t waste a lot of time “thinking it over.” In Real Estate, if you sleep on it, you might not be sleeping in it, especially in a hot market! How long does the buying process take? There are many variables here. Once you’ve found the property you want to purchase and have an accepted purchase agreement; if you will be taking out a mortgage, the lender will really be driving the process. Some banks can move quickly, others have more requirements and take a bit longer. If you are taking out a VA or FHA loan, there are additional requirements which can extend the process. Typically, from the point of offer accepted, it will take 6-8 weeks to close. Next up, we'll answer questions on the inspection process, especially in Itasca County!